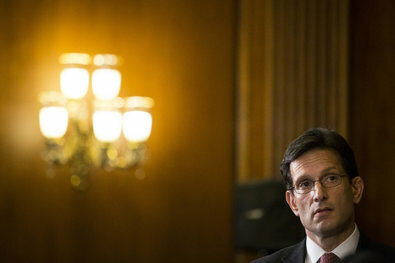 House Majority Leader Rep. Eric Cantor attended a news conference last month on Capitol Hill. 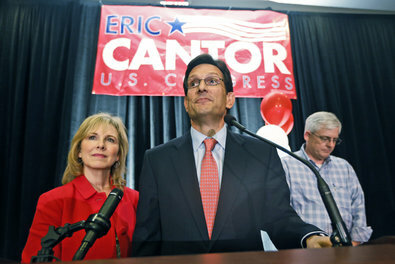 Representative Eric Cantor of Virginia delivered his concession speech on Tuesday. Irate lawmakers grilled Steven Miller on Friday, demanding to know who was responsible for the IRS’ targeting of Tea-Party groups, why it continued, and why no one told Congress about it. Tea Party activists descended on Washington Thursday, promising to sue the Internal Revenue Service and claiming vindication in their long-held complaints about perceived government overreach. Political storm clouds gave way to a steady drizzle at a Rose Garden news conference Thursday. PRESIDENT OBAMA: Well, before we get started let me just make sure that I’m a good host. 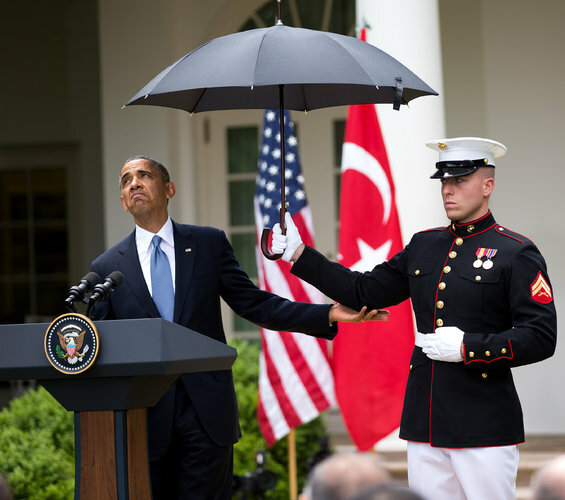 Mr. Prime Minister, do you want an umbrella? (Laughter.) Because we can arrange it if you need it. You’re okay? All right, this will be incentive for the press to ask concise questions and us to give concise answers. I’m going to start with Julianna Goldman of Bloomberg. Q Unfortunately, we all forgot umbrellas. Mr. President, I want to ask you about the IRS. Can you assure the American people that nobody in the White House knew about the agency’s actions before your Counsel’s Office found out on April 22nd? And when they did find out, do you think that you should have learned about it before you learned about it from news reports as you said last Friday? And also, are you opposed to there being a special council appointed to lead the Justice Department investigation?…. PRESIDENT OBAMA: Well, with respect to the IRS, I spoke to this yesterday. My main concern is fixing a problem, and we began that process yesterday by asking and accepting the resignation of the Acting Director there. We will be putting in new leadership that will be able to make sure that — following up on the IG audit — that we gather up all the facts, that we hold accountable those who have taken these outrageous actions. As I said last night, it is just simply unacceptable for there to even be a hint of partisanship or ideology when it comes to the application of our tax laws. But let me make sure that I answer your specific question. I can assure you that I certainly did not know anything about the IG report before the IG report had been leaked through the press. Typically, the IG reports are not supposed to be widely distributed or shared. They tend to be a process that everybody is trying to protect the integrity of. But what I’m absolutely certain of is that the actions that were described in that IG report are unacceptable. So in addition to making sure that we’ve got a new acting director there, we’re also going to make sure that we gather up the facts, and hold accountable and responsible anybody who was involved in this. We’re going to make sure that we identify any structural or management issues to prevent something like this from happening again. We’re going to make sure that we are accepting all of the recommendations that the IG has in the report. And I’m looking forward to working with Congress to fully investigate what happened, make sure that it doesn’t happen again, and also look at some of the laws that create a bunch of ambiguity in which the IRS may not have enough guidance and not be clear about what exactly they need to be doing and doing it right, so that the American people have confidence that the tax laws are being applied fairly and evenly. So in terms of the White House and reporting, I think that you’ve gotten that information from Mr. Carney and others. I promise you this — that the minute I found out about it, then my main focus is making sure we get the thing fixed. I think that it’s going to be sufficient for us to be working with Congress. They’ve got a whole bunch of committees. We’ve got IGs already there. The IG has done an audit; it’s now my understanding they’re going to be recommending an investigation. And Attorney General Holder also announced a criminal investigation of what happened. Between those investigations, I think we’re going to be able to figure out exactly what happened, who was involved, what went wrong, and we’re going to be able to implement steps to fix it. And that, ultimately, is the main priority that I have, but also I think the American people have. They understand that we’ve got an agency that has enormous potential power and is involved in everybody’s lives. And that’s part of the reason why it’s been treated as a quasi-independent institution. But that’s also why we’ve got to make sure that it is doing its job scrupulously and without even a hint of bias, or a hint that somehow they’re favoring one group over another. And, as I said yesterday, I’m outraged by this in part because, look, I’m a public figure — if a future administration is starting to use the tax laws to favor one party over another or one political view over another, obviously we’re all vulnerable. And that’s why, as I’ve said, it doesn’t matter whether you’re a Democrat or a Republican, you should be equally outraged at even the prospect that the IRS might not be acting with the kind of complete neutrality that we expect. And I think we’re going to be able to fix it. We’re going to be able to get it done, and we’ve already begun that progress and we’re going to keep on going until it’s finished. Q Thank you, Mr. President. I’d like to ask you about the Justice Department. Do you believe that the seizure of phone records from Associated Press journalists this week — or before that was announced recently this week was an overreach? And do you still have full confidence in your Attorney General? Should we interpret yesterday’s renewed interest by the White House in a media shield law as a response to that? And, more broadly, how do you feel about comparisons by some of your critics of this week’s scandals to those that happened under the Nixon administration? PRESIDENT OBAMA: Well, I’ll let you guys engage in those comparisons and you can go ahead and read the history I think and draw your own conclusions. My concern is making sure that if there’s a problem in the government that we fix it. That’s my responsibility, and that’s what we’re going to do. That’s true with respect to the IRS and making sure that they apply the laws the way they were intended. That’s true with respect to the security of our diplomats, which is why we’re going to need to work with Congress to make sure that there’s adequate funding for what’s necessary out there. Now, with respect to the Department of Justice, I’m not going to comment on a specific and pending case. But I can talk broadly about the balance that we have to strike. Leaks related to national security can put people at risk. They can put men and women in uniform that I’ve sent into the battlefield at risk. They can put some of our intelligence officers, who are in various, dangerous situations that are easily compromised, at risk. U.S. national security is dependent on those folks being able to operate with confidence that folks back home have their backs, so they’re not just left out there high and dry, and potentially put in even more danger than they may already be. And so I make no apologies, and I don’t think the American people would expect me as Commander-in-Chief not to be concerned about information that might compromise their missions or might get them killed. Now, the flip side of it is we also live in a democracy where a free press, free expression, and the open flow of information helps hold me accountable, helps hold our government accountable, and helps our democracy function. And the whole reason I got involved in politics is because I believe so deeply in that democracy and that process. So the whole goal of this media shield law — that was worked on and largely endorsed by folks like The Washington Post Editorial Page and by prosecutors — was finding a way to strike that balance appropriately. And to the extent that this case, which we still don’t know all the details of — to the extent that this case has prompted renewed interest about how do we strike that balance properly, then I think now is the time for us to go ahead and revisit that legislation. I think that’s a worthy conversation to have, and I think that’s important. But I also think it’s important to recognize that when we express concern about leaks at a time when I’ve still got 60,000-plus troops in Afghanistan, and I’ve still got a whole bunch of intelligence officers around the world who are in risky situations — in outposts that, in some cases, are as dangerous as the outpost in Benghazi — that part of my job is to make sure that we’re protecting what they do, while still accommodating for the need for information — or the need for the public to be informed and be able to hold my office accountable. Q I asked about Holder as well. PRESIDENT OBAMA: Mr. Prime Minister, just excuse me — you’re right, I have complete confidence in Eric Holder as Attorney General. He’s an outstanding Attorney General and does his job with integrity, and I expect he will continue to do so. Q Mr. President, my first question is to you. You mentioned that Assad should go, and the question is how and when. Is there a rough timetable? And shall we be talking about the Syrian tragedy next year at this time? What’s the idea? PRESIDENT OBAMA: We would have preferred Assad go two years ago; last year; six months ago; two months ago. And there has been consistency on the part of my administration that Assad lost legitimacy when he started firing on his own people and killing his own people, who initially were protesting peacefully for a greater voice in their country’s affairs. And obviously that’s escalated during the course of time. So the answer is the sooner the better. Now, in terms of the question how, I think we’ve already discussed that. There’s no magic formula for dealing with a extraordinarily violent and difficult situation like Syria’s. If there was, I think the Prime Minister and I would have already acted on it and it would already be finished. And instead, what we have to do is apply steady international pressure, strengthen the opposition. I do think that the prospect of talks in Geneva involving the Russians and representatives about a serious political transition that all the parties can buy into may yield results. But in the meantime, we’re going to continue to make sure that we’re helping the opposition, and obviously dealing with the humanitarian situation. And we’ll do so in close consultation with Turkey, which obviously is deeply invested in this and with whom we’ve got an outstanding relationship with. PRESIDENT OBAMA: Thank you, everybody. Thank you. Thank you, guys. Playing offense, President Obama on Thursday vowed to take action in response to the three controversies plaguing his administration, calling on Congress to provide additional resources to protect U.S. embassies abroad, vowing to hold accountable those who committed “outrageous actions” at the IRS, and pledging to strike a “balance” between protecting national security interests and the freedom of the press. President Obama announced on Wednesday that the Internal Revenue Service acting commissioner Steven Miller has submitted his resignation for his agency’s “inexcusable” targeting of conservative groups who had applied for tax-exempt status. Phone Records of Journalists Seized by U.S.
President Obama said Monday he has “no patience” for reports that the Internal Revenue Service singled out conservative groups for additional scrutiny, promising accountability if allegations of political motivations at the agency turn out to be true. Sen. Rand Paul Tuesday night delivered the Tea Party response to President Obama’s State of the Union address. Below is a transcript of his remarks as prepared for delivery. I speak to you tonight from Washington, D.C. The state of our economy is tenuous but our people remain the greatest example of freedom and prosperity the world has ever known. People say America is exceptional. I agree, but it’s not the complexion of our skin or the twists in our DNA that make us unique. America is exceptional because we were founded upon the notion that everyone should be free to pursue life, liberty, and happiness. 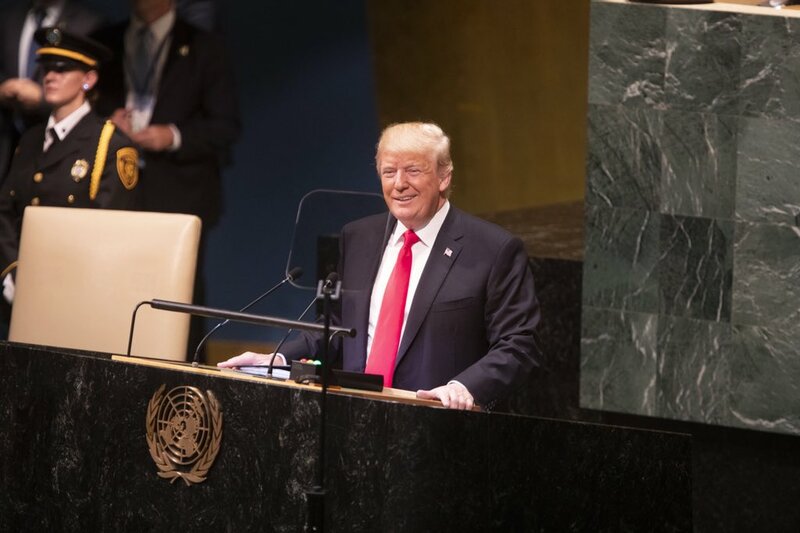 For the first time in history, men and women were guaranteed a chance to succeed based NOT on who your parents were but on your own initiative and desire to work. We are in danger, though, of forgetting what made us great. The President seems to think the country can continue to borrow $50,000 per second. The President believes that we should just squeeze more money out of those who are working. The path we are on is not sustainable, but few in Congress or in this Administration seem to recognize that their actions are endangering the prosperity of this great nation. Ronald Reagan said, government is not the answer to the problem, government is the problem. All that we are, all that we wish to be is now threatened by the notion that you can have something for nothing, that you can have your cake and eat it too, that you can spend a trillion dollars every year that you don’t have. I was elected to the Senate in 2010 by people worried about our country, worried about our kids and their future. I thought I knew how bad it was in Washington. But it is worse than I ever imagined. Congress is debating the wrong things. Every debate in Washington is about how much to increase spending – a little or a lot. About how much to increase taxes – a little or a lot. The President does a big “woe is me” over the $1.2 trillion sequester that he endorsed and signed into law. Some Republicans are joining him. Few people understand that the sequester doesn’t even cut any spending. It just slows the rate of growth. Even with the sequester, government will grow over $7 trillion over the next decade. So, what is the President’s answer? Over the past four years he has added over $6 trillion in new debt and may well do the same in a second term. What solutions does he offer? He takes entitlement reform off the table and seeks to squeeze more money out of the private sector. He says he wants a balanced approach. What the country really needs is a balanced budget. Washington acts in a way that your family never could – they spend money they do not have, they borrow from future generations, and then they blame each other for never fixing the problem. Tonight I urge you to demand a new course. Demand Washington change their ways, or be sent home. To begin with, we absolutely must pass a Balanced Budget Amendment to the Constitution! The amendment must include strict tax and spending limitations. Liberals complain that the budget can’t be balanced but if you cut just one penny from each dollar we currently spend, the budget would balance within six or seven years. The Penny Plan has been crafted into a bill that millions of conservatives across the country support. The President could begin by stopping the F-16s and Abrams tanks being given to the radical Islamic government of Egypt. Not only should the sequester stand, many pundits say the sequester really needs to be at least $4 trillion to avoid another downgrade of America’s credit rating. Both parties will have to agree to cut, or we will never fix our fiscal mess. Bipartisanship is not what is missing in Washington. Common sense is. Trillion-dollar deficits hurt us all. Printing more money to feed the never-ending appetite for spending hurts us all. We pay higher prices every time we go to the supermarket or the gas pump. The value of the dollar shrinks with each new day. Contrary to what the President claims, big government and debt are not a friend to the poor and the elderly. Big-government debt keeps the poor poor and saps the savings of the elderly. This massive expansion of the debt destroys savings and steals the value of your wages. Big government makes it more expensive to put food on the table. Big government is not your friend. The President offers you free stuff but his policies keep you poor. 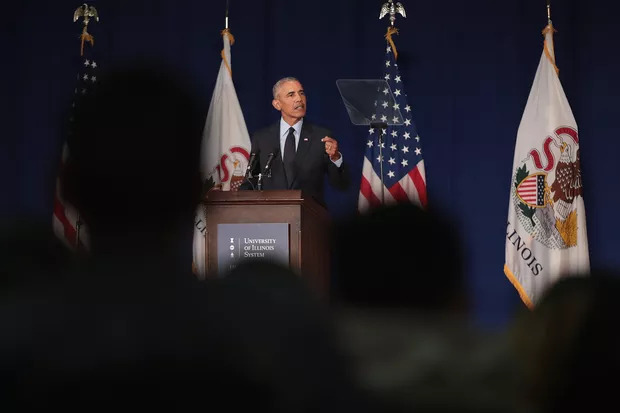 Under President Obama, the ranks of America’s poor swelled to almost 1 in 6 people last year, reaching a new high as long-term unemployment left millions of Americans struggling and out of work. The cycle must be broken. The willpower to do this will not come from Congress. It must come from the American people. I will work with anyone on either side of the aisle who wants to cut spending. But in recent years, there has been no one to work with. The President’s massive tax hikes and spending increases have caused his budgets to get ZERO votes in both houses of Congress. Not a single Democrat voted for the President’s budget! Senate Democrats have not even produced a budget in the time I have been in office, a shameful display of incompetence that illustrates their lack of seriousness. This year, they say they will have a budget, but after just recently imposing hundreds of billions in new taxes, they now say they will include more tax hikes in their budget. We must stand firm. We must say NO to any MORE tax hikes! Only through lower taxes, less regulation and more freedom will the economy begin to grow again. Our party is the party of growth, jobs and prosperity, and we will boldly lead on these issues. Under the Obama economy, 12 million people are out of work. During the President’s first term 800,000 construction workers lost their jobs and another 800,000 simply gave up on looking for work. For those who are struggling we want to you to have something infinitely more valuable than a free phone, we want you to have a job and pathway to success. We are the party that embraces hard work and ingenuity, therefore we must be the party that embraces the immigrant who wants to come to America for a better future. We must be the party who sees immigrants as assets, not liabilities. For those striving to climb the ladder of success we must fix our schools. America’s educational system is leaving behind anyone who starts with disadvantages. We have cut classroom size in half and tripled spending on education and still we lag behind much of the world. A great education needs to be available for everyone, whether you live on country club lane or in government housing. This will only happen when we allow school choice for everyone, rich or poor, white, brown, or black. Let the taxes you pay for education follow each and every student to the school of your choice. Competition has made America the richest nation in history. Competition can make our educational system the envy of the world. The status quo traps poor children in a crumbling system of hopelessness. When every child can, like the President’s kids, go to the school of their choice, then will the dreams of our children come true! Washington could also use a good dose of transparency, which is why we should fight back against middle of the night deals that end with massive bills no one has read. We must continue to fight for legislation that forces Congress to read the bills! We must continue to object when Congress sticks special interest riders on bills in the dead of night! Sweep the place clean. Limit their terms and send them home! I have seen the inner sanctum of Congress and believe me there is no monopoly on knowledge there. If they will not listen, if they will not balance the budget, then we should limit their terms. We are the party that adheres to the Constitution. We will not let the liberals tread on the Second Amendment! The people are crying out for change. They are asking for us to hear their voices, to fix our broken system, to right our economy and to restore their liberty. Let us tonight let them know that we hear their voices. That we can and must work together, that we can and must re-chart our course toward a better future. America has much greatness left in her. We will begin to thrive again when we begin to believe in ourselves again, when we regain our respect for our founding documents, when we balance our budget, when we understand that capitalism and free markets and free individuals are what creates our nation’s prosperity. Sen. Rand Paul (R., Ky.), who was asked by tea party activists to respond to President Barack Obama’s State of the Union address, was preparing to criticize both parties for letting spending rise – a central tea party theme. It’ll once again be the old one-two punch against President Obama following his State of the Union address on Tuesday. 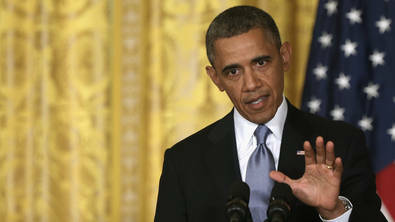 President Obama will once again face two rebuttals, after his State of the Union address on Tuesday. Sen. Rand Paul, R-Ky., will deliver the “tea party response” to Obama from the National Press Club in Washington, D.C., Tuesday night. Following in the footsteps of Rep. Michele Bachmann (2011) and Herman Cain (2012), who delivered the last two alternative State of the Union responses, Paul’s speech will be staged by the Tea Party Express, the same group that sponsored the 2011 and 2012 rebuttals. Sen. Marco Rubio today got the nod to be the 2012 Republican vice presidential nominee — from the nation’s largest Tea Party group, not Mitt Romney. The Florida senator — the only Republican whom Romney has confirmed is being vetted for a No. 2 spot on the ticket — was the top preferred choice of thousands of surveyed Tea Party Express members, the group announced today.